CertainTeed Vinyl Siding Collection is America's most popular siding. It offers an exceptional selection of affordable styles with outstanding performance. With 11 product lines and over 40 colors options. It comes in a variety of woodgrain and smooth finishes. CertainTeed gives you the freedom to express yourself with the exact siding to suit your style and budget. 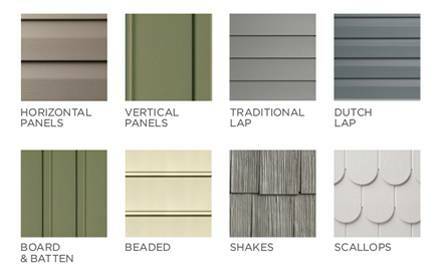 One Of The Leading Vinyl Siding Manufacturers In U.S.
CertainTeed is a subsidiary of Saint-Gobain, one of the top 100 industrial companies in the world. Saint-Gobain employs approximately 15,000 people in North America. Many different types and styles available in different price ranges from economy to premium grades that will stand up to hurricane force winds. There are three general types of siding; horizontal, vertical and shakes, all represented and manufactured in vinyl. Each one is made to look exactly like the real wood siding that it represents. They come in a wide variety of colors, textures and thickness. Available in insulated or non-insulated versions. Economy and premium grades, something for every budget. When people talk about vinyl siding types and styles they use the two words interchangeably and that is alright, your contractor will know the difference. 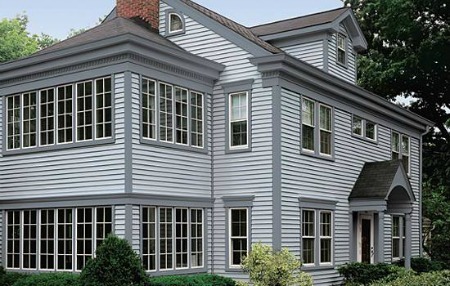 To see more about Clapboard Vinyl Siding...click here. 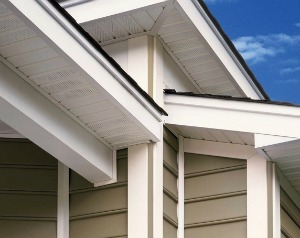 Vertical siding is sometimes called Board and Batten Siding. Board and batten has been a favorite home siding style for homeowners for hundreds of years and still going strong today. Widely used today as a design accent on homes. With Board and Batten, CertainTeed has recreated a siding favored by early settlers to protect ad beautify homes and outbuildings. Alternating wide and narrow vertical panels combine in a simple, yet beautiful, design well suited to distinctive architectural styles. 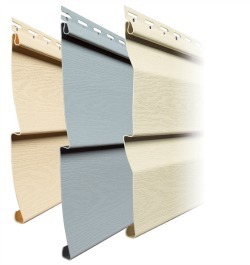 To see more on Board and Batten Vinyl Siding..click here. Monogram Double 4" Siding in Sable Brown color combined with Northwoods Single 7" Straight Edge Rough-Split Shakes in Savannah Wicker color. Great use of two different types of siding used together to produce a distinct look. To see more on Vinyl Cedar Shake Siding..click here. 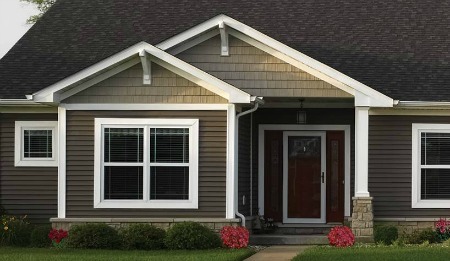 CertainTeed Vinyl Siding Comes in All The Popular Styles, Colors and Textures. Whether it is a Victorian reproduction, a New England saltbox or a modern beach house get-away, we offer the rich look of natural cedar without the expense and heavy maintenance. 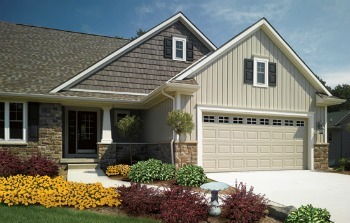 You can create a home to be proud of with designer palettes of over 30 siding and trim colors. Inspired by nature, these colors are designed to harmonize home and environment. 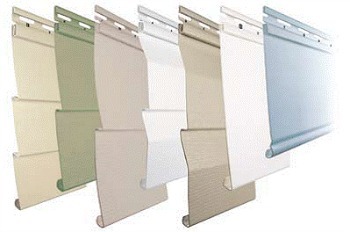 To see more on Dutch Lap Vinyl Siding..click here. Insulated or Non-Insulated Vinyl Siding. 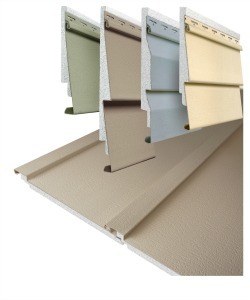 To see more information about Insulated Vinyl Siding... click here. 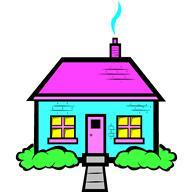 To see pictures of homes with vinyl siding..click here. 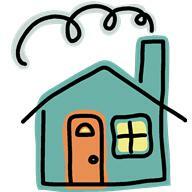 To complete the job homeowners can choose to cover all the exterior of their house to cut back on maintenance. Corners, window and door trim, and soffit and facia treatments. It is sometimes the little extra items that give the house that 'new' look. CertainTeed also has trim packages with coordinating colors to finish off your project. Don't forget the trim, you want to cover everything so you never have to paint again. Corners, window and door trim and soffit and facia trim gives the house that brand new look. Great curb appeal. To see more information on CertainTeed trim and accessories,...click here. CertainTeed vinyl siding has a product that will fit any budget from economy to premium, from smooth finish to rough cut cedar texture. Over 40 different colors. Don't forget the trim, you want to cover everything so you never have to paint again. Soffit and facia trim gives the house that brand new look. Great curb apeal. To see more information about trim and accessories click here. 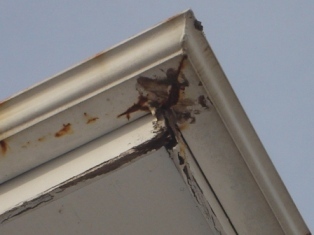 To see pictures of homes using vinyl siding click here...Vinyl Siding Pictures. When considering installing new siding on your home, don't forget that the cost of the siding is only one part of the total installation costs. To learn more about what are other costs involved in installing siding on a home...click here to go: Vinyl Siding Costs.